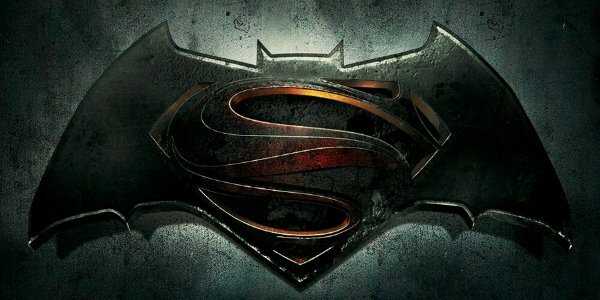 October 2014 will go down in the geek history books as one of the biggest months for comic book movies thanks to DC and Marvel. Both companies announced their film plans for the next several years. For DC, this means finally diving into the DC Cinematic Universe and exploring characters that aren’t just Batman and Superman (though you’ll still be seeing a lot of them). For Marvel, it means we get to dive into Phase 3 with familiar faces and new characters. Overall this is a great time to be a comic book fan, but this is also a fanbase that likes to debate, and when it comes to movies, the common question that fans persistently argue amongst themselves is, "Who is winning the movie battle: Marvel or DC?" Well, that’s what I’m here to answer. Although each company has their positive and negative aspects, Marvel is still leading the charge with comic book movies. Let’s start by saying this is not a debate about which company has the better characters. That’s an ongoing controversy that’s unlikely to ever end. This about who is doing the better job marketing their films and who has the most positive reception overall, and Marvel is still ranked at number one. Unfortunately, part of the reason DC is in second place is because they got a later start. While Marvel kicked off the MCU with Iron Man and The Incredible Hulk in 2008, DC didn’t kick off the DCCU until 2013 with Man of Steel. Sure there were the Christopher Nolan Batman films and Green Lantern, but those were self-contained, and frankly, the less said about the latter, the better. Once DC saw the gold mine that Marvel dug into, they should have immediately began work on their cinematic universe, but instead they waited too long. Now instead of introducing characters one at a time, they’re debuting most of the Justice Leaguers in Batman V Superman: Dawn of Justice. That’s not to say that their strategy had to be exactly like Marvel’s, but it seems like they’re cramming a lot in just to catch up. It’s good they have a plan now. It just would have been nice for them to clue fans in on what it was a little earlier. However, the way these companies present their information also is important. This week, Marvel held a special press event at the El Capitan Theater to announce all their films up to 2019, reveal that Chadwick Boseman is playing Black Panther, and even answer a few question afterwards about the status of other characters. They embraced how big of a deal these films are, and turned their announcement into an event that everyone could enjoy, whether they were there in person or following over social media. Where did DC announce their film slate? At an investors conference. That’s right, the news that characters like Wonder Woman, Aquaman and The Flash would finally get their own live-action films was revealed to a group of suits who probably don’t know who most of these characters are. DC, you had the opportunity to make this announcement memorable and you blew it. Take some style pointers from Marvel for when you announce your post-2020 movies. We’ll get a better sense of what the DCCU will be like when Batman V Superman and Suicide Squad come out in 2016. For now, all we have to go off of is Man of Steel, which earned mixed reviews, and casting news, of which a fair amount has drawn the ire of fans. Also, while this can’t be quantifiably measured, there’s the sense that Warner Bros. isn’t as enthusiastic about these characters as Marvel is. With Marvel, you get the sense that both the creative talent and executives care deeply about the source material and delivering projects that will please fans and movie-lovers alike. With DC, more specifically Warner Bros., it’s as if digging into their gigantic library is a chore, and the only reason they’re making these movies is to turn a profit. Warner Bros. also doesn’t seem to embrace DC Entertainment as an independent entity, which restricts their creative endeavors. Regardless of who’s "winning," we should consider ourselves lucky that we live in a time when all these characters finally being adapted for the big screen, so that’s a win by itself. Whatever your opinions on DC and Marvel may be, I think we can all agree on one thing: Fox and Sony don’t stand a chance of catching up.